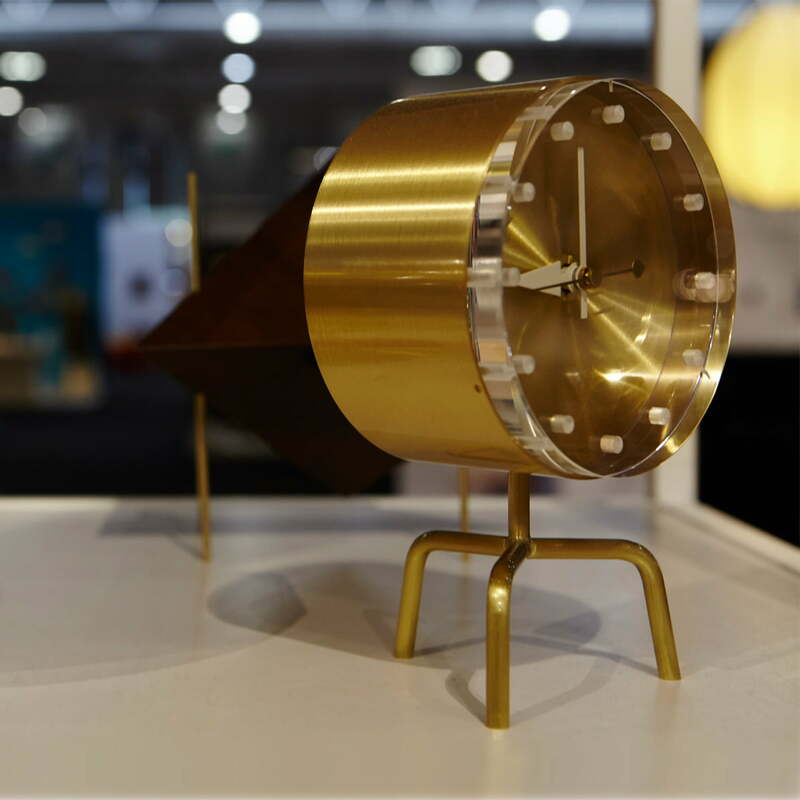 The Tripod Clock was designed by George Nelson as part of the Desk Clocks Collection. An original classic: the unmistakable Desk Clocks emerged between 1947 and 1953. The clock is in great demand by collectors and didn't lose any of its charms through the decades. Because of its original colours and shapes, the table clock by Vitra is still a refreshing alternative to all of the other common timepieces. 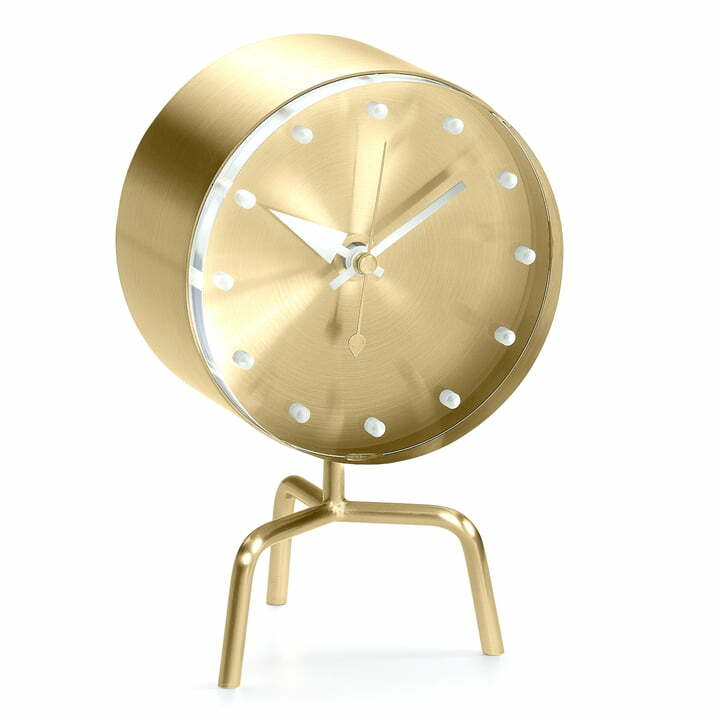 Through their sculptural forms and the chosen colours and materials, the clocks embody the lifestyle of the 50s. That's what the Vitra Tripod emphasises in its mid century design.